Ben Affleck is rumored to be getting his own solo Batman film with a working title already in place. When the actor was first announced as the new Caped Crusader, it was reported that he had signed a deal to play the role in multiple films. The interesting extra bit of information is the possibility that Affleck won’t just be working in front of the camera on the rumored film. Affleck’s next directorial effort, “Live By Night,” is going to be going into production in the summer of 2015 with an October 2016 release date in the crosshairs. If “The Batman” isn’t actually being planned until 2019, the actor-filmmaker could easily take the production by the horns and helm it himself. Whether or not he would be actually interested in the gig is a whole other question, but given his history with and affinity for comics, I wouldn’t imagine that he would dismiss the job out of hand. Given that the film is so far away, however, the answer to this question may not be available until years and years from now. He’s already proved with “Argo” that he’s up to the task of acting, directing and bringing home Oscars, though a physically demanding superhero film is a whole other challenge. 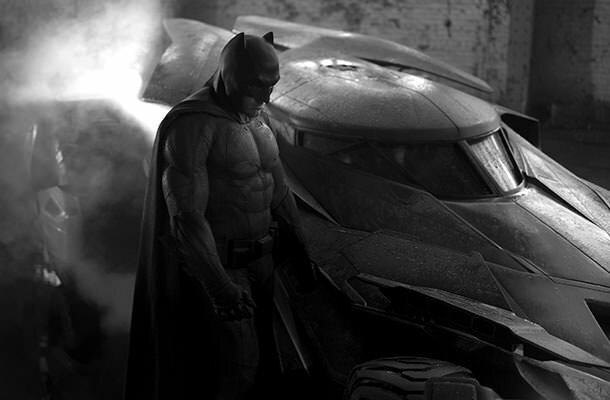 Casting Affleck was a huge gamble for Warner Bros. Let’s hope it pays off. We can probably expect to hear a lot more about the future of the DC Cinematic Universe at San Diego Comic-Con next month, so stay tuned as more info becomes available in the coming weeks.